In this article we take a look at the different sectors in South Africa's economy and the growth of each sector over the last 20 years on a radar timeline chart. 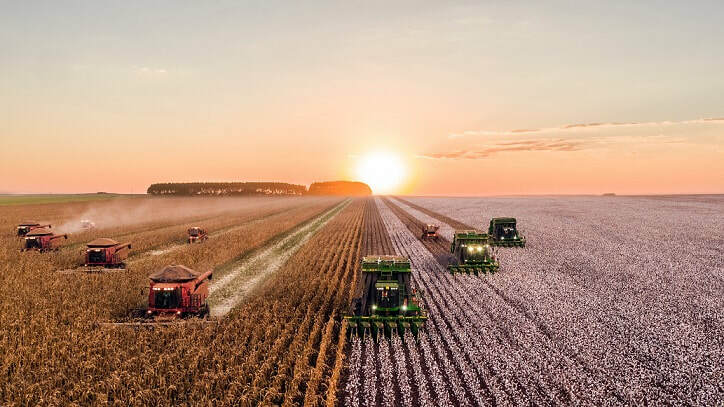 While the agricultural sector makes up a very small part of South Africa's overall GDP (around 2.5%) it is prone to severe swings in growth rates largely driven by the behaviour of mother nature. Agriculture sending SA's economy in a wild ride? The interactive graphic below shows the year on year growth rates of the various sectors of South Africa's economy over time (Note all data has been adjusted for inflation and is published by Statistics South Africa (Stats SA). Readers can use the scroll bar at the bottom to change the years or to edit the graphic from a circle into a half moon or any other angle prefered. As the graphic shows the agriculture sector has seen significant swings (especially in 2016 and 2017), where the drought (especially in the Western Cape) had significant effect on agricultural activity. The other observation one can make regarding the interactive graphic above shows the spike in the construction industry year on year growth from 2003 to 2009, as South Africa underwent significant infrastructure spending programs (such as improved highways, the Gautrain, new soccer stadiums to name but a few). During this period construction company shares such as Group5, Basil Read, Murray and Roberts, Aveng and Wilson Bayly Holmes Ovcon were all market darlings. Today most of these companies are struggling to keep the doors of their businesses open. Gross fixed capital formation (GFCF) in South Africa has all but dried up, as companies and investors hold back on investing in new capital equipment and assets such as new buildings, equipment and the likes. And a large part of this is due to poor economic growth in South Africa over the last number of years and policy uncertainty with the ruling ANC looking to amend the constitution to allow for expropriation of land without compensation. Why would a business or businessman, be they local of foreign invest in a country that is looking to take land without paying for it? If basic property rights cannot be protected why on earth would people or businesses invest here? While the South African government is looking for a economic growth rate of 6% or above, to address the massive unemployment rate (27.5%) South Africa is sitting with, they have been their own worst enemy when it comes to achieving this. Blatant corruption, state capture, ineffective use of tax funds, poor economic and business policies and the poor implementation thereof has all lead to South Africa's economy not getting anywhere near the 6% that the South African government is hoping for. Since 1997 the average annual GDP growth rate is sitting at 2.8%. And for the last 5 years the average annual GDP growth rate has been a mere 1.5% (as state capture, lack of foreign and capital investments starts to hurt the South African economy).